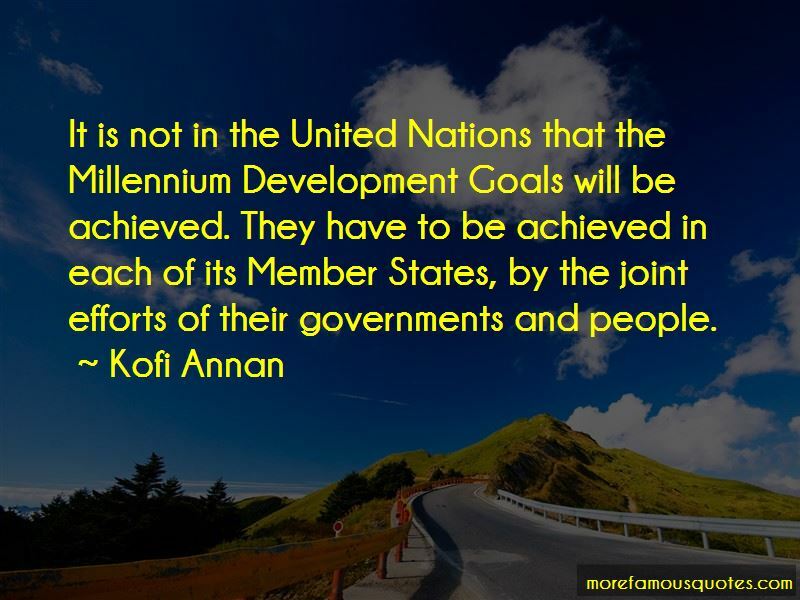 Enjoy the top 208 famous quotes, sayings and quotations by Kofi Annan. Education is, quite simply, peace-building by another name. It is the most effective form of defense spending there is. If you have a problem and you can't find a solution, you meet again tomorrow and you keep talking until you find a solution. You can disagree with behavior or a particular position, but you do not resort to calling an opponent worthless. If the United Nations does not attempt to chart a course for the world's people in the first decades of the new millennium, who will? The global work of the United Nations is not without reason compared to that of a family - striving for a common goal in concert with all members for a better future. In an age where community involvement and partnerships with civil society are increasingly being recognized as indispensable, there is clearly a growing potential for cooperative development and renewal worldwide. Microfinance is an idea whose time has come. Let us all reaffirm our commitment to improving the well- being of families throughout the world. In a world of plenty, continued suffering is a terrible stain on our conscience. It is inexcusable that we not strive, with every resource at our disposal, to eliminate suffering. 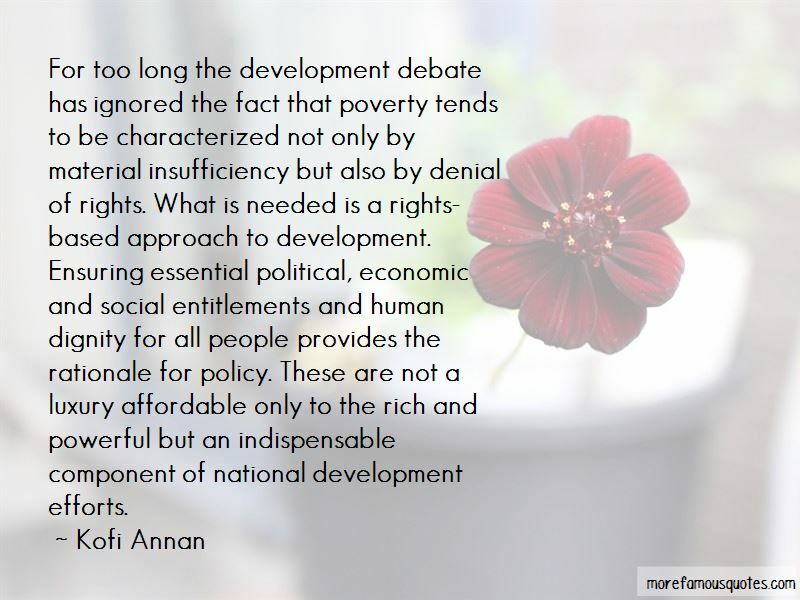 It is not in the United Nations that the Millennium Development Goals will be achieved. They have to be achieved in each of its Member States, by the joint efforts of their governments and people. From this vision of the role of the United Nations in the next century flow three key priorities for the future: eradicating poverty, preventing conflict and promoting democracy. This is an historic step forward in the world's efforts to combat a truly global threat. You are never too young to lead and you should never doubt your capacity to triumph where others have not. 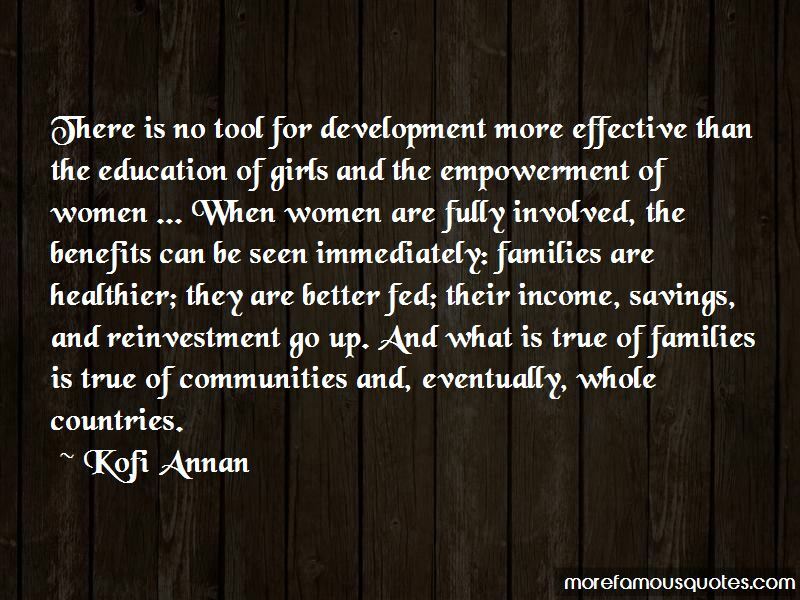 Want to see more pictures of Kofi Annan quotes? 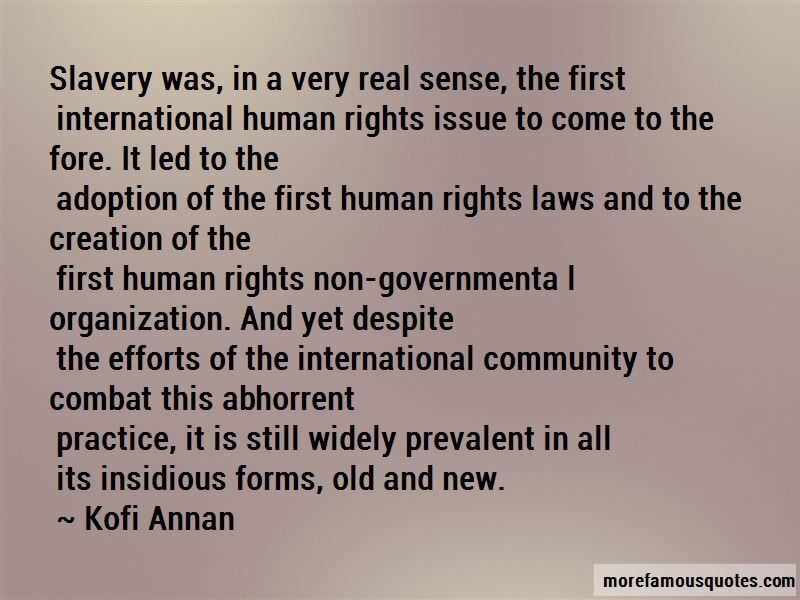 Click on image of Kofi Annan quotes to view full size.